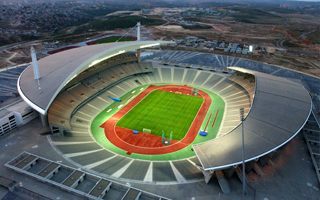 Plans to build a large Olympic-sized stadium came along with Istanbul’s aspirations to host the IOC tournament. 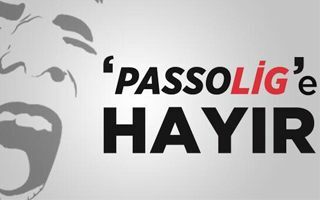 In 1994 the municipality selected a 586-hectare plot in north-western district of Başakşehir. 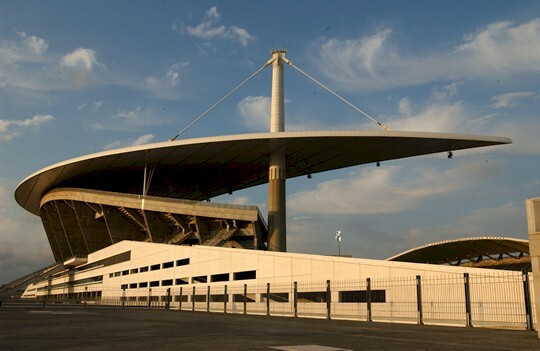 Istanbul failed to win the 2000 Olympics bidding procedure, but construction began in 1999 anyway, with famous French architects Macary and Zublena on the job. 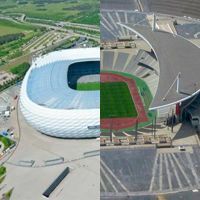 Shortly before delivering this project they designed Stade de France in Paris and Istanbul required something iconic as well, also with 80,000 seats, except with a lot smaller budget. The new stadium was cost-effective thanks to entire lower tier being sunken into the ground, only seeing west and east stands rise up. 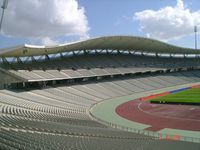 Partial cover (48,500 seats covered) is particularly distinctive in the west part, where the vast roof is supported by two pylons. It’s important in terms of symbolism as a cross-section of the roof resembles the bridges over Bosporus, while an aerial view shows the crescent shape of the roof, a key symbol for both Turkey and Islam overall. 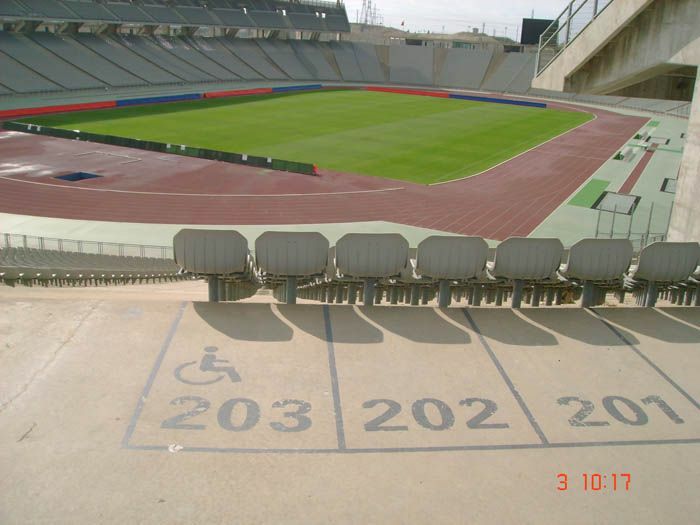 Construction ended in 2002 with just TRY 130 million on the price tag, but along with the huge size and modest cost came criticism in the following years, mostly due to the lower tier being very flat and distant from the pitch (25-40 meters from first row), making sightlines very poor for football. 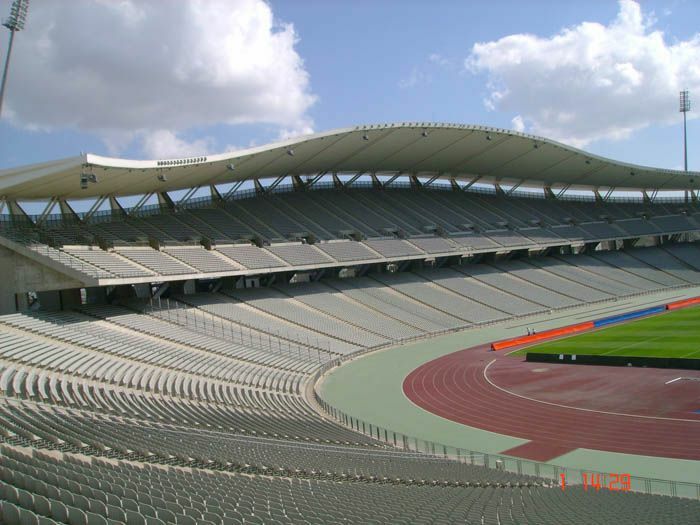 First game ever was played on July 31 2002 with Galatasaray and Greek Olympiacos meeting for a friendly. 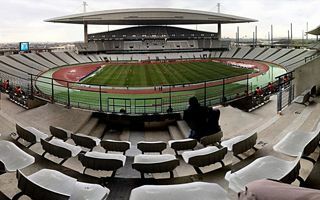 It was more than a regular fixture as Turkey and Greece launched a joint bid to hold Euro 2008 together despite history of antagonism between them. 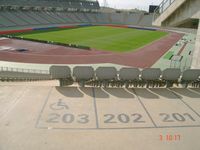 The stadium packed to capacity, but it is estimated that further 20,000 people or more weren’t able to get inside. Not only for insufficient space, but also because of access routes unable to cope with the traffic. After that capacity was restricted to 50,000 until proper transport infrastructure was delivered. 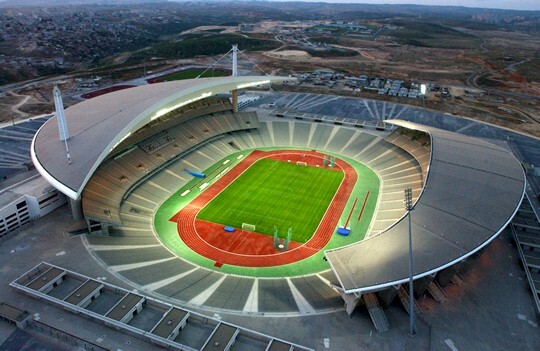 Apart from being the home of national football team, the stadium serves as backup ground for major Istanbul teams. 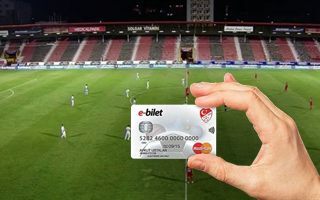 Galatasaray played here in 2003-2004, Besiktas also used it when their stadium was under reconstruction, while a rather obscure municipal club IBB played host from 2007 until their own stadium was built in 2014. 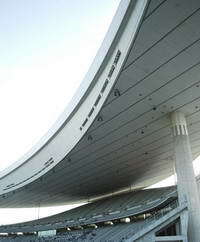 Domestic finals and exhibition derbies were also held here. 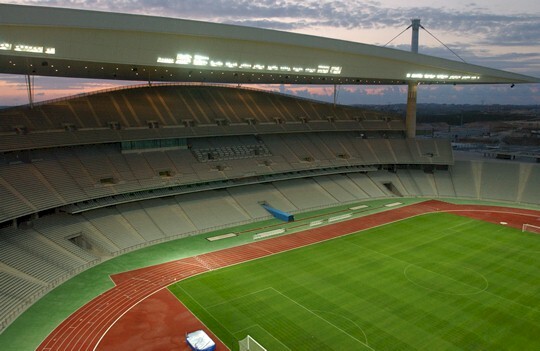 First major international fixture won for the stadium in bidding was the memorable 2005 Champions League final between Liverpool and AC Milan. 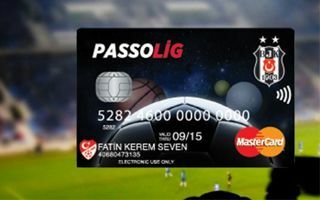 It earned Istanbul and Turkey credibility, but apparently not enough to win more bids. 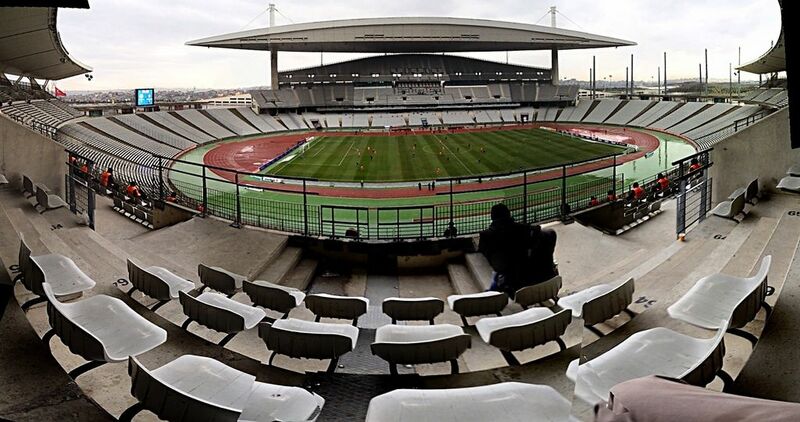 Overall Istanbul failed 5 times applying for the Olympics, last time in 2020, while bids to host Euro 2016 and 2020 also didn’t succeed. 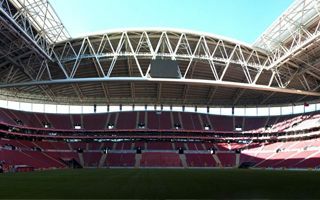 Turkey are still hopeful to get the Euro 2020 final to Istanbul as the stadium is awaiting expansion and retractable roof to be competitive. 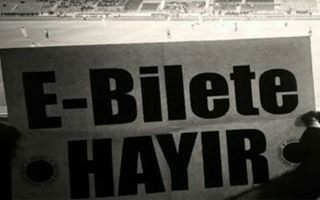 30.01.2015 Istanbul: “Turkish Wembley” a chance for Atatürk Olympiat? It failed as an Olympic giant and serves nearly only for football. 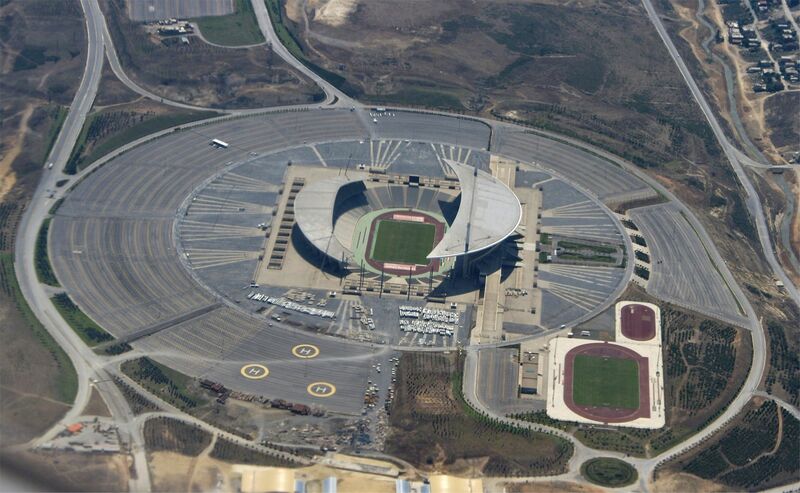 Now the most controversial stadium in Turkey may expect a sharp turn and be converted into football-specific “Turkish Wembley”. Some news for those following our recent database updates. 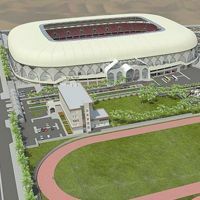 New renderings and construction photos of Al Anbar Stadium in Iraq are now available, as well as fresh/refreshed presentations of three Turkish stadia. 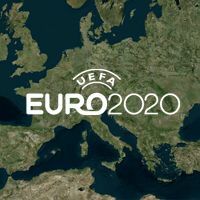 Despite UEFA approving bids of up to two stadia per country, most national federations across Europe only expressed interest to host Euro 2020 at one stadium. Here's the list of all confirmed bids. 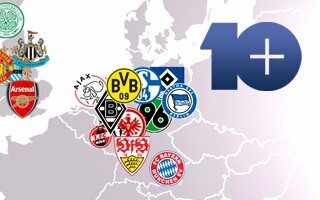 09.09.2013 Euro 2020: Germany to give final place to Turkey? 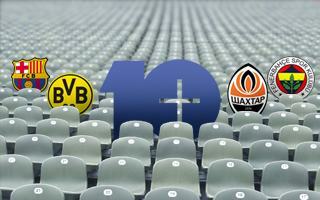 Did Tokyo's hosting of 2020 Olympics change the situation in Europe? Of course. Two major European agglomerations were left out without a key event in 2020. 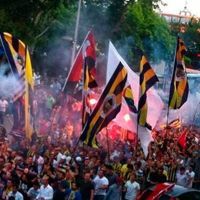 For this reason Germans are to back out from their bid to host Euro 2020 finals, allowing Turkey to fight for the spot. 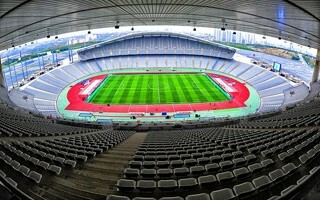 The International Olympic Committee informed about creating a shortlist of candidates to host 2020 Summer Olympics. 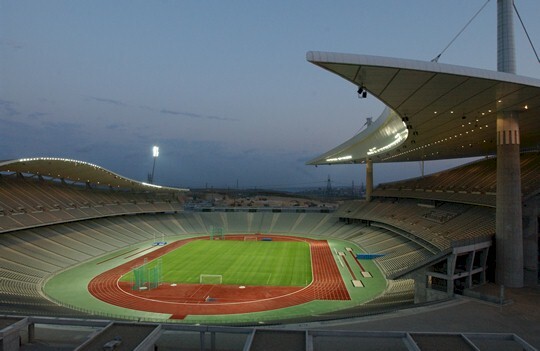 The two eliminated cities are Baku (Azerbijan) and Doha (Qatar).